Battery technology is one of the fastest growing areas of power tool technology especially since the emergence of the lithium-ion battery. Since its first appearance, progress has centred around making the chemistry less volatile and to extending the power of the batteries from 2.0Ah to 3.3Ah and now to 4.0Ah and 4.2Ah. Similarly, there have been remarkable improvements in motor technology especially in electronic control and power management and now brushless technology is beginning to make a mark. It’s not universal yet, but doubtless there are tradeoffs in the cost of manufacture and limitations in their application and so they have not been universally adopted, as have Li-ion batteries, across entire product lines. One area that both Li-ion and brushless motors do find convergence is in cordless impact drivers. Naturally with any new developments, it’s to be expected that purchasers want some sort of assurance that the product will do what it claims and the claims for the 4.0 Ah batteries are impressive, some claiming up to twice the run-time of previous models and 20 percent more power. 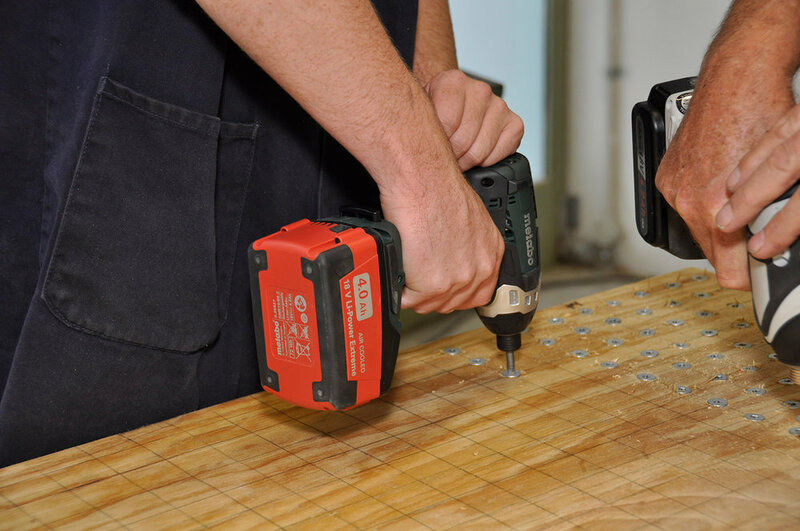 Impact drivers have just one function—to drive fastenings and this makes them a good choice for testing battery life. 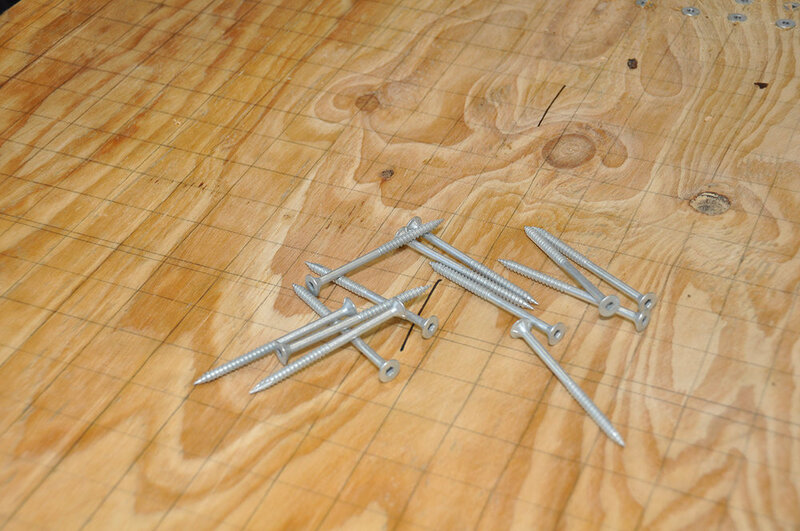 The usual method of testing these tools has been to drive large numbers of screws into a dense board and that is precisely what we decided to do to. But we also decided to test the torque claims of the manufacturers. To that end we engaged the services of Air-Mech Ltd in West Auckland, who repair all brands of airtools including impact wrenches (rattle guns) for the likes of Atlas Copco. They have torque-testing machines that can give accurate torque reading. Once again we looked to the University of Auckland Uniservices division to help us undertake the testing. We have only five models to test: Hitachi, Milwaukee, DeWalt, Panasonic and for the first time we have a Metabo tool. Neither Makita nor Bosch has brushless 4.0Ah models yet but both appear to be developing something for the near future. Hitachi’s new model impact driver and Panasonic’s 4.0Ah batteries have yet to be released and we were privileged to get advance models to test. All the models present have LED worklights, rubberised grip surfaces and reversible steel belt hooks. All the tools have three or more adjustable speed ranges, Hitachi has an additional speed range that is job dependent and can automatically sense the power required for the load—the “S” range. It’s likely that most users will use the tool at the top of its range for rapid driving but the other ranges can come in handy especially for more delicate jobs like driving drywall screws and even disassembling components or situations when you simply can’t afford to overdrive a fastening. Needless to say all our tests focus on the top speed range. All the machines in the test also have progressive speed control in the trigger. Four have battery life indication. To give the tools a serious work out, we elected to use Buildex 100 mm 14-10 selfdrilling, bugle head batten screws, driven into 105 mm LVL (laminated veneer lumber). That’s a serious test for any tool. LVL is generally more dense than an equivalent pine board. To get a better idea of how tough this job was and just how much denser the LVL is compared to pine, we drove two screws into a piece of 140 x 47 mm (6” x 2”) dressed pine. Using the driver that recorded the fastest times in the test, it took an average of 5.6 secs to drive the screw flush with the surface. In contrast, the same machine averaged 8.5 and 9.1 secs to drive the same screw into LVL. The LVL board was sectioned off into lines of 24. Each line was reserved for one of the tools. We rested the machines after driving 12 screws to avoid overheating them. They did become quite hot especially around the hammer section. We measured the temperature at the hammer housing for each after driving 24 screws in total. The time taken to drive individual screws was measured at the beginning of the trial by timing 12 screws and removing both the fastest and slowest times and averaging the rest. We conducted the test twice. The second test took place after the batteries were charged overnight. In order to give some perspective to the testing, we also arranged to use a 3.3Ah battery model (Panasonic) to run against the field. This battery-and-driver combination has scored well in other tests (conducted offshore) so we wanted to get a comparison against which to compare the 4.0Ah batteries. The 3.3 amp battery did 49 screws; its big brother did 57, almost exactly 20 percent more. The second test in general validated the results of the first, Hitachi scored exactly the same in both tests for example and the others were within one or two screws of the first test results. The 3.3 amp battery did 49 screws its big brother did 57 almost exactly 20 percent more, which is in line with expectations. What emerged during the tests was how comfortable or otherwise each tool was to use. Noise was a factor. Impact drivers are by nature noisy (that’s why they are often called rattle guns) but some were far noisier than others. Two in particular stood out for their noise—DeWalt and Milwaukee. By contrast the Hitachi, Panasonic and Metabo were relatively quiet, Hitachi the quietest of all. The other factor that is difficult to assess objectively is operator comfort and here the Hitachi was the preferred model with Panasonic second. Dewalt vibrated more than any other and made prolonged use uncomfortable. We tested the speed at which each machine drove the screws at the start of the test for both tests Hitachi was clearly the fastest machine. However speed didn’t translate into longevity and one of the slower at individual driver speeds was the longest lasting. DeWalt took the duration honours in both tests, driving 62 and 63 screws. Milwaukee was a close second. We used 6.35mm hex drive bits for the screws but we noticed that some had a tendency to wear. It’s important to select accessories that are rated for impact drivers. At present they have been hard to find but lately some manufacturers including Bosch and Milwaukee are releasing accessory sets that are designed for impact driver use. In the torque testing we did not expect to reach the same results as the manufacturers claimed. We don’t possess the same equipment they used (indeed, we don’t know what they used) but we wanted to see what results we could get against equipment that routinely tests airdriven impact guns. The Skidmore-Wilhelm Calibrator is a hydraulic loadcell with a hole in the centre for inserting a bolt, nut and washer. As the bolt and nut are tightened, they compress the load cell, creating an internal pressure. A gauge measures the pressure and provides a dial readout calibrated in pounds-tension equivalent to the tension created in the fastener. This can then be converted to foot-pounds and Newton metres (Nm). The tester is normally used for testing impact wrenches which are used for hard joint applications, tightening nuts to specified torque for example, whereas impact drivers tend to be used more for soft joint applications such as driving screws. For this reason, cordless impact wrenches even of the same model as the impact driver tend to have higher torque. To test the torque on the impact drivers required us to use a ½” socket adapter and a 32mm socket. Every time you use an adapter you will lose some torque. The poorer the quality of the adapter the more torque you will lose. So we expected to lose some performance. Also, given that the tools were being asked to drive something they were not designed for, it would be unrealistic to get an exact reading. But we wanted to see a comparison in a like-forlike test. The results should be read in that way, as a relative performance measure. They are not intended to supplant the manufacturers’ maximum torque claims. Each tool was run for six seconds secs to achieve its maximum torque and the results recorded. We ran every tool five times and averaged the results. In the end we recorded values far in excess of the manufacturers’ claims for the tools, which is why we recommend that these reading be seen as indicative only. In general, the results tended to follow the order of maximum values. Panasonic, for example, with the lowest maximum torque, also recorded the lowest torque readings. The dark horse was Metabo, with a reading well off the scale compared to its reported maximum torque. Overall all the tools performed very well. They were consistent and all faced up well to a challenge that they would rarely be subjected to in practice. Some suffered a bit from excessive noise and vibration, but in practice using the tools for such a prolonged period is rare. These tests were performed on batteries that were new and in practice lithium-ion batteries don’t achieve their full potential until they have had several cycles. The comparison with the 3.3 Ah battery was illustrative of the additional power that the 4.0Ah batteries have. Overall the extra power of the 4.0Ah batteries is evident and in less taxing applications we would expect to see the batteries outperforming their smaller predecessors by significant margins. This test has also been a vindication of the impact driver. It would have been impossible to do this test with a drill driver.